The Rustlers CUFL group stages has reached the final week of scheduled fixtures with all groups not yet completely decided and a number of local derby clashes set to be the finale of first half of the season. In the Men's Premier Division and Division One, the top four of each group qualify and their Quarter Final opposition determined by the final position. In the Women's Premier Division, the top two of the group advance to the semi-finals with their opposition also predetermined by finishing position. In all other divisions, the top two of each group qualify for the quarter final with the UEFA Champions League style group winners enjoying a home tie in their quarter final against a group runner-up from a group alternative to their own. The Men's Premier Division still has a lot to play for before the last ball is kicked before Christmas. While UCD have kept up their SSE Airtricity League form by topping the North section with a 100% record, the remaining three qualifying places remain up for grabs. DCU and Trinity College will clash with the primary objective for both is to avoid a relegation play-off by finishing 6th. 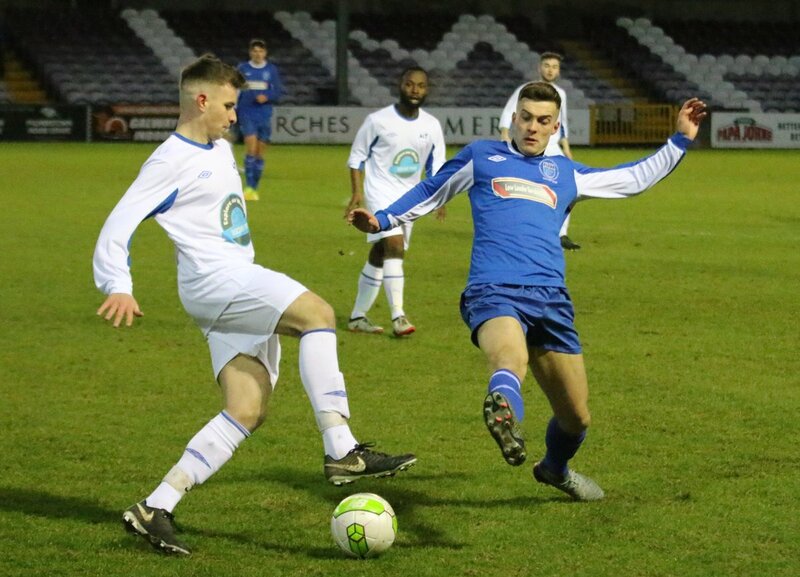 Richard Maguire's city centre team currently occupy the daunting position but a win will condem Johnny McDonnell's North Dublin side to a play-off with Colaiste Stiofain Naofa in 2019. There is also the extra nugget for DCU that a win not only preserves their Premier Division status but also provides them with a glimmer of a 4th place finish. They will require a comfortable win against Trinity and IT Sligo to become the latest victims to free-scoring UCD to swing the places on goal difference. While Maynooth and Dublin IT are both guaranteed to be in the final eight in late January, they will be keen to be at home in the tie. Both teams are level on points at the moment in 2nd and 3rd with the Kildare team edging it on goal difference. Down south, UL are home and dry in top spot following four wins from four. They entertain CSN who are resigned to a 6th place finish. The more intriguing ties lie in Athlone and Cork with two "finals". Similar to Maynooth and DIT, UCC and IT Carlow are level on points, level on goal difference but separated on goals scored with Tom Elmes team enjoying more luck in front of goal. In the midlands, there is an added edge with the team that comes out worse in the clash between Athlone IT and Waterford IT having to call time on their league season for another year. WIT have their 8-1 defeat of CSN to thank for their current position in 4th but a defeat by Colin Fortune's side will see the placings reversed and Athlone advancing to a daunting trip to UCD in the Quarter Finals. In the Women's Premier Division, all five teams in the North group can still qualify for the Semi-Finals. One of Letterkenny IT and IT Sligo will be in the final four following their clash in the North-West on Tuesday. A draw will see both teams qualified but Letterkenny will face a long trip south for their semi-final tie. If Johnny Baird's side taste defeat however, they will be eliminated with Ulster University's goal difference holding them in 2nd although a DCU win in the event of a Sligo win will see them pull off an unlikely qualification after heavy defeats to UU and Letterkenny. A DCU win would also condemn UCD to a second consecutive relegation play-off. Derek Ashmore's side avoided the drop last year with victory against UL but will want to avoid another play-off. If UCD were to win, DCU would then fall into the relegation spot. In the South, it is a little more straight forward with Maynooth and IT Carlow shooting off against each other for top spot and a home semi-final whilst Waterford IT will travel to UCC desperate to avoid a relegation play-off by sending their hosts into the bottom spot. Click here to read a full list of permutations for all groups.